You have probably had some of those unplanned workouts in the past. You know, the ones where you walk into the gym excited. Ready to crush chest, tris, back, legs… or maybe cardio today…or maybe all of the above…or maybe none of the above. Who knows? Not you, because you came in without a plan. So you might wander around for a few minutes trying to decide, confuse yourself a bit more, and then ultimately you end up stretching out for 45 minutes which is all fine and dandy if you knew exactly what you wanted to do after, but you still haven’t made up your mind and you are now just wandering around the gym asking everyone how many sets they have left so that maybe the next machine that opens up gives you some direction. I’ve been there, and chances are this is a true story from a recent time in your life as well. So why is it that building daily workout plans for yourself is so important? There are quite a few ways that an unplanned workout can hinder your productivity in the gym. Not only does a lack of planning destroy your efficiency in the gym and ultimately waste quite a bit of your time, it can also mean that you don’t see the gains you are looking for when you lift or do cardio. When you don’t know what work outs you want to do before you head inside, your focus is compromised. When you aren’t focused on a goal in the gym you can accidentally be lazy and just go through the motions. Lifting weights and cardio exercise both require a certain amount of drive and motivation to put in the type of effort that sees true results. Not being committed to a workout means I don’t lift as hard, usually this means less reps, less intensity, and ultimately more rest. None of which contribute to muscle strength and stamina as you would like them to. No plan can also scramble your workout. Now let’s talk an example, if you start out on chest day with bench press, and you don’t know what your next workout is planned to be…you may end up doing a lift next that doesn’t compliment the bench press you just did. My typical pattern is to follow a heavy barbell power lift with something hypertrophy based like I described in my favorite workout. This pattern allows me to work accessory muscles in with my chest to make sure I am evenly distributing my workout and also making certain that I have enough energy and muscle stamina to target my chest appropriately with the next lift (like decline dumbbell press). Since I usually have this planned, you won’t catch me pushing the barbell over and over again in just a slightly different fashion. While this can work if you plan is to build muscle stamina, you still need to clearly define your goal and have that built into the plan that you set in motion when you hit the gym. There’s a reason that many people are constantly in search of a “workout plan”. Many of the best programs are those that have well outlined instructions on which lifts to perform, what cardio exercises you should target, and even the amount of rest you should allot yourself between sets. You’ve likely heard of SMART goals by now, so this next concept should be nothing new. Specific – Goals need to be specific. “I want to lose weight” is a goal, yes. However, are you really going to accomplish that? What does it really mean? Do you want to lose 1 pound? 5 pounds? 10 pounds? Adjust this goal to state “I want to lose 15 pounds and it is now a specific goal. Measureable – Your goal next needs to be measurable. The goal outlined above is measurable because you can step on the scale every day and check in on your progress. If you were to say “I want to eat healthy”, that is not really a measurable goal because you don’t really know what you are defining as healthy. If you put a calorie count to that or were tracking macros, then it may be measurable. Achievable – This one is quite simple. Make sure that your goals are reasonable. If you plan to lose 15 pounds, don’t try and do something like that overnight. It makes no sense and you’ll be setting yourself up for failure. An achievable goal is something that you can eventually check off the list of goals met…not something that will be ongoing forever. Not achieving goals from time to time can make your efforts feel hopeless, and ultimately you will accomplish less when you don’t achieve smaller goals that lead to larger accomplishments. Relevant – Your goals also need to be relevant to what you are trying to do. I know I am deviating a bit from your workout plan here, but overall fitness goals can be a significant contributing factor to how well you perform and how well you stick to your plan. If your goals aren’t relevant to your larger fitness goals (eating proper amounts of protein throughout the day might be relevant to your overall goal of losing 15 pounds) you may not be working in the right direction to accomplish your overall, much larger goals. Time Constrained – Set a goal schedule. You want to be meeting smaller goals and stack those smaller goals up to meet larger ones. What are you going to do today to reach your larger fitness goal? What about this week? Now the month? Maybe the year? If you accomplish your daily SMART goal, this leads to accomplishment of your weekly SMART goal and so on. So now that we understand the importance of having SMART fitness goals, what do we do once we’ve established some of these goals? In order to properly drive myself to achieving my overall fitness goals, I usually try and incorporate them in my fitness plan. This could also be said the other way around. Essentially the idea is to make your workout plan support your overall goals. If your goal is to become a full-fledged body builder, you need to make sure your workout plan reflects it. Someone trying to build muscle and gain weight is going to have a different diet and nutrition goal, and ultimately a different lifting and cardio plan than someone who is feeling a bit overweight or unhappy with their body on the other end of the spectrum and is actually looking to shed some pounds and lean up. Both are very different, and both need a tailored approach to achieve that overall goal. If you have a SMART goal already built, you can start to perform searches and target “best workouts to build larger biceps”, or maybe you could search “sprint walk workouts for shedding pounds”. Whatever your ultimate goal, you can tailor your health and fitness research and ultimately the workout plan you create or stumble upon to fit your needs. So, you’ve written down your goals (writing them down helps you stay accountable, so do that). What’s next? We need to establish the actual workout plan. There are a few things, aside from your SMART goals that you need to make sure that your workout plan incorporates. This is the particular exercises you will be performing. Usually I break it into days… there is always the classic chest and tris, back and bis, legs, shoulders and abs… however, you can mix this up to fit what you want to accomplish. 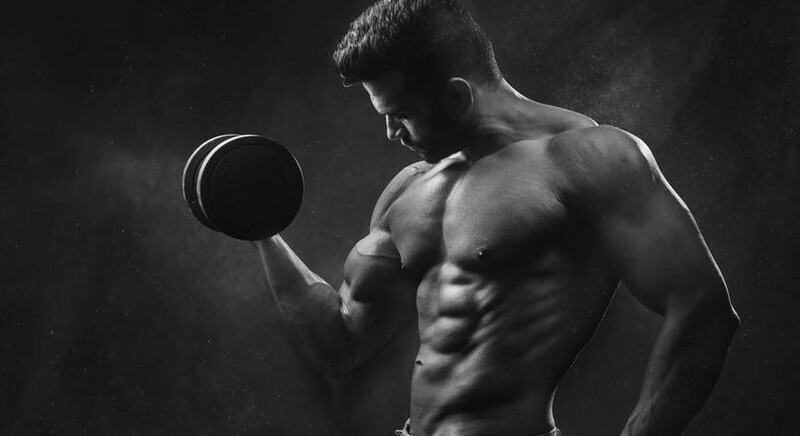 This can include push and pull days, legs and abs together, or you can build your plan to incorporate more frequent targeting of specific areas that may need a bit more work or are lacking overall. Make sure to outline your daily schedule. This can be a 5 day workout session (rest days included) or you can make sure to allocated workouts to specific days (chest on Wednesdays, etc). I personally try and get most of my lifting in during the week because the reality is I get busy and my routine is thrown out of whack on the weekends quite frequently. Break down your days into specific lifts/exercises. You can leave yourself with options if you would like. But ultimately you should have an idea of the exercises you will be performing that day and the order in which you might want to perform them. Push and Pull day may alternate pushing and pulling exercises (bench and row) or maybe you perform all of your push workouts and follow up with all pull workouts. Whichever decision drives you towards your goals is the one you’ll want to make. Sometimes it’s a good idea to leave an “or” clause in your daily exercises. You might want to substitute incline barbell bench with incline dumbbell bench on alternating weeks for muscle confusion. This is once again up to you. Create your rep and set constraints. First, I don’t generally include warm-up sets. Warm ups should be included in all exercises and you can simply put a reminder in your plan to “warm-up”. Make sure that whether you are lifting for power lifting, starting strength, or hypertrophy, you establish the correct rep ranges and number of sets for each exercise. This is important because you will want to target different rep ranges for strength building than you might want to with hypertrophy exercises that focus more on size and muscle stamina. You’ll also probably want to incorporate some burn out sets in there somewhere (usually at the end). So now you have SMART goals built and set at the top of your nice, shiny new workout plan (I keep mine in my iPhone notes.. it’s not that shiny). You also should have a daily schedule worked out, broken down by days, exercises, and even your target rep and set numbers. What’s the last thing you need to do to make sure that you get the most out of your workout plan? Without execution a solid workout plan doesn’t get anything done. This is why we have focused so much on SMART goals, because they are easier to execute on. In order to make a workout plan effective you must follow through. You need to pick yourself up, get to the gym when scheduled, and execute the workouts that you have written down and documented. Make sure to stay on task at the gym. Eliminate distractions (I wear noise cancelling headphones). Make sure that if a piece of equipment is taken you have a backup for that particular exercise or you can rearrange appropriately with a similar lift and come back to your planned workout later. There is no perfect science to a workout plan and it can be modified as your goals change. However, a solid base and good foundation are imperative to seeing results. Whether those results are gaining muscle, losing weight, building size in your upper body, building solid legs, you need to start somewhere and the best place to start is with a solid workout plan. If you don’t have your own workout plan and you want to incorporate some of the lifts I do (mostly for dudes) then check out my go to workout plan here. If you need some new gear, don’t forget to check out some of my product reviews in the Gear category above. Got any experience of your own with workout plans? Creating them? Sticking to them? Struggles with them? Leave me a comment below and let’s chat more! Please remember: I do get a small affiliate commission for anything you buy on my site or from a link that sends you to Amazon from my site, just know that it ultimately supports my efforts and helps to pay for my time writing articles to hopefully help folks out with achieving their health and fitness goals. Hi there, thanks for sharing this wonderful important of building a daily workout plan. I must say apart from workout plan related to going to gym or doing daily exercise, the most interesting things I love about this your post is how you related it to our daily life, if we can plan our gym or exercise perfectly, we should be able to plan our life goal successfully. Hey Yormith! I’m glad you enjoyed the article my friend. Life goals and exercise are one in the same in my opinion. I am constantly using fitness as an overall stress reliever and it helps keep me on schedule throughout my day. When I have a routine I have to think less about the mundane and I can occupy my time with more interesting things that I enjoy. Like writing for example! Anywho, glad this related for you! Daily workout plans is very important. It’s good to set a goal as regards your daily work out. You will need to know what and how you really want to burn your calories and the workout plans that can enable you achieve the desired lost of calories and reduction of weight. Everything depends on what you want and how you want it. I’m stoked that we agree upon the importance of daily workout plans. Hopefully you are seeing some great success in implementing your own. Thanks for reading and let me know if you have any questions surrounding workout planning or really anything else related to the greater genre of health and fitness! Always happy to help. The sauna is a great way to reward yourself. I find it really makes me relax after a workout. Sometimes I use it to get warm if I need to stretch out properly with no cardio warmup. Glad I could inspire you to workout! Health and fitness are really a lifestyle in the end. Staying healthy is the key to living a lengthy and ideally fulfilled life. Let me know if you have any questions about your workouts. It sounds like you are on the right track for your goals with a good mix of cardio and weight training. No problem! Always happy to help, Kehinde. Having a plan and a clear path forward in the gym is imperative to success. I often find when I don’t have a plan of action for the tasks I take on, including the gym, I end up all over the place and I don’t really accomplish anything. Hopefully you start seeing some great results once your habits have been adjusted. Let me know if you need help with any strategies to switch up the workout plan and I’ll do my best to help guide you. I like this article on important of building a daily workout plans.it encourage many that is not doing so to start doing it because it helps alot in other to always know the majority task to be accomplish each day. I’m glad you enjoyed the article ajibola40! Encouragement is what I am here for. Yes! You nailed it. Starting to implement good habits whether it is with your workout plan or your daily life can yield tremendous results at a rapid pace. Scheduling, planning, and setting goals will help you reach levels of success you have not yet experienced. Laziness attacks everyone from time to time. This is simply human nature. Hopefully you have been able to overcome that on the days where you are feeling sluggish and don’t want to execute a properly energized workout. Follow your goals as you said and I know you’ll see the results you are looking for my friend. Hello and good evening. 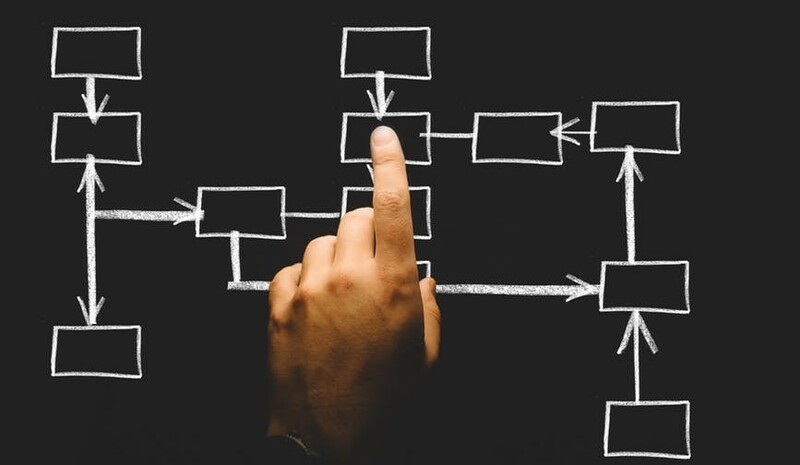 I enjoyed reading your article because exercise is always important and I also like how you said how it should be organized, planned, and executable. For the time being, I usually do exercises at home. I alternate between upper and lower body exercises on separate days. I usually start out with lower numbers and easier exercises. As time moves on and I do exercises weeks straight in a row, I add higher numbers to my reps and I add in more exercises. My body usually becomes defined within three months straight, but I guess I plan to start all over again. I have been thin all my life. My goal is to get my definition back, get bigger, and improve my cardio. I had two questions. What would you suggest for what I said so far? And also as I run or jog, my legs get extremely itchier. Is there anything you can suggest for that as well? Hello, Eric! Thanks for digging into this article. I’m glad you enjoyed reading. Organization is important across many aspects in life and exercise is just one of those many. I love that you are dedicated enough to your health and fitness goals to crush that at home workout. It’s quite tough to stay motivated in that environment. I wrote an article related to working out on the go that may apply here. Most of those exercises are considering you may not have a backyard. The idea is that you can blow through a workout using body weight or bands in your living room. Click here to read my article on working out on the go. In addition, you mentioned running or jogging causing your legs to itch. I am not sure what exactly you mean here. If it’s simply burn from the exercise then stick with it. I know it can be uncomfortable but in the end you’ll be better for it. However, if you are referring to actual irritation I’d suggest looking at the fabric you are running in. Something I’ve noticed in the past is that a large variety of different pants can cause itching if the fabric doesn’t do well with sweating. Try something moisture wicking. I have yet to review anything moisture wicking but there are many different products out there that should do the trick. I would imagine you may be running in shorts currently, maybe your legs are getting a bit dry and wind chapped. Try some body lotion and see if that helps. If none of the above work let me know! I’ll try and help you solve this problem to the best of my abilities but I’m no “itchy-leg” expert. Hope that has provided you with some decent enough insight. Thank you for sharing this great informational post. I was impressed by reading this article. Plan to accomplish something skillfully with the prerequisite. The whole work is to be prepared for it by leaving itself in a mental framework. Many times we are planning to do but we cannot work accordingly. This kind of situation can be created for two reasons. Firstly, due to the lack of realistic planning and secondly, due to the weakness of the commitment to the work we are planning. A small issue could bring a big change in the plan. And the pre-planning made the difference between those who succeeded and those who did not succeed. And if you seriously dream about success in any of life, you must first look at the pre-plan. Attitudes are very important in achieving success in any work. And there is a need for a positive outlook to develop this attitude. The goal of the goal depends on a lot of things. And to target, any task, the key to success is the original mantra. Without a pre-plan, you cannot move far. Going forward in step-by-step success with the goals. When you plan your goal through planning, it is much easier for you to walk on the road of focus. The goal of the goal depends on a lot of things. And to target, any task, the key to success is the original mantra. Without a pre-plan, you cannot move far. Going forward in step-by-step success with the goals. When you plan your goal through planning, it is much easier for you to walk on the road of focus. It is very good to have diary writing habits, write down all day plans. I’ll definitely share it with my family and friends. You are very welcome. Mental framework is the key here, you have nailed that part and brought attention to something I didn’t necessarily dive that deep into. Good catch! There are many hurdles that you mentioned regarding the lack of execution when we do plan. 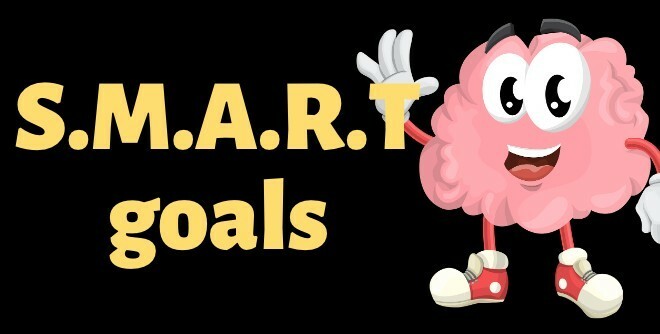 Hopefully the SMART goals I outlined above help many overcome these obstacles. What is the old adage? By failing to prepare, you are preparing to fail. That’s always stuck with me especially when it comes to health and fitness. I try and remember this in other aspects of my life as well and it has helped on all fronts. I agree on the diary front also. Documentation both of your workouts and your overall mental state can really mellow you out and make sure that you are moving in the right direction. Every year I write down some goals and quite often these goals come to fruition as long as I document my progress. The same applies here to building a workout plan. Documenting your workouts means you can document progress. If you properly document your progress you are more likely to succeed as you see yourself chipping away at the overall goal and achieving milestones. We have needed a flawless plan to achieve any kind of success. Likewise, we want some planning to increase or decrease body weight. After reading this article, I remember about a Bollywood movie “Dabangg”. The Hero Aamir Khan, according to the rules, made his body weight first and then reduced it again. Without seeing the movie it is not possible to know how much a person is planning to do so.Almost everyone with a fine body wants to be. But there has a wide gap between deserving and desire. I myself went to the gym occasionally. But I did not get the proper results. Now reading this article I can understand quite well where I was deficient. By setting a goal I will have to move slowly. I hope that in the near future, following the tips mentioned in this article, I can be entitled to a Six Peg. Many thanks to the author for writing about such a wonderful subject. I’m glad you understand the importance of building a workout plan. However, it does not necessarily have to be flawless. Just having a plan with a general direction and some SMART goals on paper is the key to success. 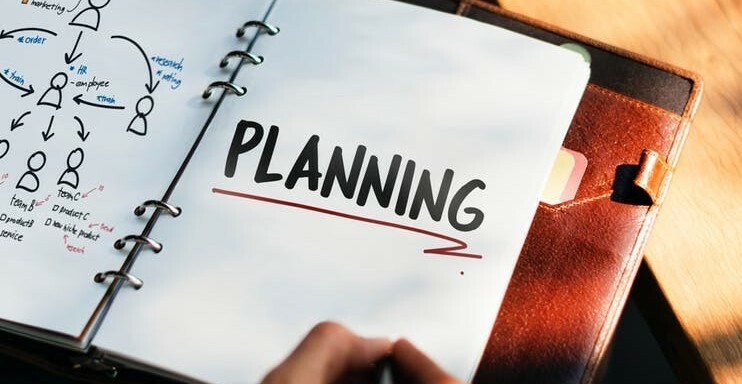 Most people desire a lot of things just as you mentioned but when it comes to planning and execution they give up or stop short of their goals. It reminds me of the tree analogy. If you are allowed to go out and take one swing with an axe at a tree per day you may not see results the first few times. However, eventually that tree will fall and you’ll take that final swing. The same goes for health, fitness, and results. If you work hard at it and do a little bit of work every day finally you’ll see results in the end. I appreciate you reading and I’m excited to hear how your goals have been met in the near future. You’re very welcome.